The British deportation campaigns began in August 1755. 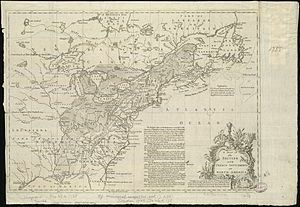 Throughout the expulsion, Acadians and the Wabanaki Confederacy continued a guerrilla war against the British in response to British aggression which had been continuous since 1744 (see King George's War and Father Le Loutre's War). The first wave of the expulsion began on August 10, 1755, with the Bay of Fundy Campaign during the French and Indian War. The British ordered the expulsion of the Acadians after the Battle of Beausejour (1755). The campaign started at Chignecto and then quickly moved to Grand-Pré, Piziquid (Falmouth/Windsor, Nova Scotia) and finally Annapolis Royal. On November 17, 1755, George Scott took 700 troops, attacked twenty houses at Memramcook, arrested the remaining Acadians and killed two hundred head of livestock to deprive the French of supplies. Acadians tried to escape the expulsion by retreating to the St. John and Petitcodiac rivers, and the Miramichi in New Brunswick. The British cleared the Acadians from these areas in the later campaigns of Petitcodiac River, Saint John River, and the Gulf of St. Lawrence in 1758. The Acadians and Mi'kmaq resisted in the Chignecto region and were victorious in the Battle of Petitcodiac (1755). In the spring of 1756, a wood-gathering party from Fort Monckton (former Fort Gaspareaux) was ambushed and nine were scalped. In April 1757, the same band of Acadian and Mi'kmaq partisans raided Fort Edward and Fort Cumberland near present-day Jolicure, New Brunswick, killing and scalping two men and taking two prisoners. July 20, 1757, Mi'kmaq killed 23 and captured two of Gorham's rangers outside Fort Cumberland. In March 1758, forty Acadians and Mi'kmaq attacked a schooner at Fort Cumberland and killed its master and two sailors. In the winter of 1759, the Mi'kmaq ambushed five British soldiers on patrol while they were crossing a bridge near Fort Cumberland. They were ritually scalped and their bodies mutilated as was common in frontier warfare. During the night of April 4, 1759, a force of Acadians and French in canoes captured the transport. At dawn they attacked the ship Moncton and chased it for five hours down the Bay of Fundy. Although Moncton escaped, one of its crew was killed and two were wounded. In September 1756, a group of 100 Acadians ambushed a party of thirteen soldiers who were working outside Fort Edward at Piziquid. Seven were taken prisoner and six escaped back to the fort. In April 1757, a band of Acadian and Mi'kmaq partisans raided a warehouse near Fort Edward, killed thirteen British soldiers, took what provisions they could carry and set fire to the building. Days later, the same partisans raided Fort Cumberland. 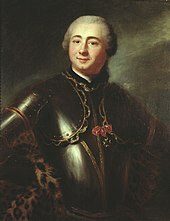 By November 1756, French Officer Lotbinière wrote about the difficulty of recapturing Fort Beausejour: "The English have deprived us of a great advantage by removing the French families that were settled there on their different plantations; thus we would have to make new settlements." The Acadians and Mi'kmaq fought in the Annapolis region. They were victorious in the Battle of Bloody Creek (1757). Acadians being deported from Annapolis Royal on the ship Pembroke rebelled against the British crew, took over the ship and sailed to land. In December 1757, while cutting firewood near Fort Anne, John Weatherspoon was captured by Natives—presumably Mi'kmaq— and was carried away to the mouth of the Miramichi River, from where he was sold or traded to the French, taken to Quebec and was held until late in 1759 and the Battle of the Plains of Abraham, when General Wolfe's forces prevailed. Approximately 55 Acadians, who escaped the initial deportation at Annapolis Royal, are reported to have made their way to the Cape Sable region—which included south western Nova Scotia—from where they participated in numerous raids on Lunenburg, Nova Scotia. The Acadians and Mi'kmaq raided the Lunenburg settlement nine times over a three-year period during the war. Boishebert ordered the first Raid on Lunenburg (1756). In 1757, the second raid on Lunenburg occurred, in which six people from the Brisson family were killed. The following year, March 1758, there was a raid on the Lunenburg Peninsula at the Northwest Range (present-day Blockhouse, Nova Scotia) when five people from the Ochs and Roder families were killed. By the end of May 1758, most of those on the Lunenburg Peninsula had abandoned their farms and retreated to the protection of the fortifications around the town of Lunenburg, losing the season for sowing their grain. For those who did not leave their farms, the number of raids intensified. During the summer of 1758, there were four raids on the Lunenburg Peninsula. On July 13, 1758, one person on the LaHave River at Dayspring was killed and another seriously wounded by a member of the Labrador family. The next raid happened at Mahone Bay, Nova Scotia on August 24, 1758, when eight Mi'kmaq attacked the family homes of Lay and Brant. They killed three people in the raid, but were unsuccessful in taking their scalps, a common practice for payment from the French. Two days later, two soldiers were killed in a raid on the blockhouse at LaHave, Nova Scotia. On September 11, a child was killed in a raid on the Northwest Range. Another raid happened on March 27, 1759, in which three members of the Oxner family were killed. The last raid happened on April 20, 1759 at Lunenburg, when the Mi'kmaq killed four settlers who were members of the Trippeau and Crighton families. The Cape Sable campaign involved the British removing Acadians from present-day Shelburne County and Yarmouth County. In April 1756, Major Jedidiah Preble and his New England troops, on their return to Boston, raided a settlement near Port La Tour and captured 72 men, women and children. In the late summer of 1758, Major Henry Fletcher led the 35th regiment and a company of Gorham's Rangers to Cape Sable. He cordoned off the cape and sent his men through it. One hundred Acadians and Father Jean Baptistee de Gray surrendered, while about 130 Acadians and seven Mi'kmaq escaped. The Acadian prisoners were taken to Georges Island in Halifax Harbour. En route to the St. John River Campaign in September 1758, Monckton sent Major Roger Morris of the 35th Regiment, in command of two men-of-war and transport ships with 325 soldiers, to deport more Acadians. On October 28, Monckton's troops sent the women and children to Georges Island. The men were kept behind and forced to work with troops to destroy their village. On October 31, they were also sent to Halifax. In the spring of 1759, Joseph Gorham and his rangers arrived to take prisoner the remaining 151 Acadians. They reached Georges Island with them on June 29. November 1759 saw the deportation to Britain of 151 Acadians from Cape Sable who had been prisoners on George's Island since June. In July 1759 on Cape Sable, Captain Cobb arrived and was fired upon by 100 Acadians and Mi'kmaq. The second wave of the expulsion began with the French defeat at the Siege of Louisbourg (1758). Thousands of Acadians were deported from Île Saint-Jean (Prince Edward Island) and Île Royale (Cape Breton Island). The Île Saint-Jean Campaign resulted in the largest percentage of deaths of the deported Acadians. The sinking of the ships Violet (with about 280 persons aboard) and Duke William (with over 360 persons aboard) marked the highest numbers of fatalities during the expulsion. By the time the second wave of the expulsion had begun, the British had discarded their policy of relocating the Acadians to the Thirteen Colonies, and had begun deporting them directly to France. In 1758, hundreds of Île Royale Acadians fled to one of Boishebert's refugee camps south of Baie des Chaleurs. The Petitcodiac River Campaign was a series of British military operations that occurred from June to November 1758 to deport the Acadians who either lived along the river or had taken refuge there from earlier deportations. Benoni Danks and Gorham's Rangers carried out the operation. Contrary to Governor Lawrence's direction, New England Ranger Danks engaged in frontier warfare against the Acadians. On July 1, 1758, Danks began to pursue the Acadians on the Petiticodiac. They arrived at present day Moncton and Danks' Rangers ambushed about thirty Acadians who were led by Joseph Broussard (Beausoleil). The Acadians were driven into the river where three of them were killed and scalped, and the others were captured. Broussard was seriously wounded. Danks reported that the scalps were Mi'kmaq and received payment for them. Thereafter, he went down in local lore as "one of the most reckless and brutal" of the Rangers. Colonel Robert Monckton led a force of 1,150 British soldiers to destroy the Acadian settlements along the banks of the Saint John River until they reached the largest village of Sainte-Anne des Pays-Bas (Fredericton, New Brunswick) in February 1759. [f] Monckton was accompanied by New England Rangers led by Joseph Goreham, Captain Benoni Danks, Moses Hazen and George Scott. The British started at the bottom of the river, raiding Kennebecais and Managoueche (City of St. John), where they built Fort Frederick. Then they moved up the river and raided Grimross (Gagetown, New Brunswick), Jemseg, and finally reached Sainte-Anne des Pays-Bas. The Acadians took refuge along the Baie des Chaleurs and the Restigouche River. Boishébert had a refugee camp at Petit-Rochelle, which was probably located near present-day Pointe-à-la-Croix, Quebec. The year after the Battle of Restigouche, in late 1761, Captain Roderick Mackenzie and his force captured over 330 Acadians at Boishebert's camp. After the French conquered St. John's, Newfoundland in June 14 1762, the success galvanized both the Acadians and the natives, who gathered in large numbers at various points throughout the province and behaved in a confident and, according to the British, "insolent fashion". Officials were especially alarmed when natives gathered close to the two principal towns in the province, Halifax and Lunenburg, where there were also large groups of Acadians. The government organized an expulsion of 1,300 people and shipped them to Boston. The government of Massachusetts refused the Acadians permission to land and sent them back to Halifax. Mi'kmaq and Acadian resistance was evident in the Halifax region. On April 2, 1756, Mi'kmaq received payment from the Governor of Quebec for twelve British scalps taken at Halifax. Acadian Pierre Gautier, son of Joseph-Nicolas Gautier, led Mi'kmaq warriors from Louisbourg on three raids against Halifax Peninsula in 1757. In each raid, Gautier took prisoners, scalps or both. Their last raid happened in September and Gautier went with four Mi'kmaq, and killed and scalped two British men at the foot of Citadel Hill. Pierre went on to participate in the Battle of Restigouche. Arriving on the provincial vessel King George, four companies of Rogers Rangers (500 rangers) were at Dartmouth April 8 until May 28 awaiting the Siege of Louisbourg (1758). While there they scoured the woods to stop raids on Dartmouth. In July 1759, Mi'kmaq and Acadians killed five British in Dartmouth, opposite McNabb's Island. By June 1757, the settlers had to be completely withdrawn from Lawrencetown (established 1754) because the number of Indian raids prevented settlers from leaving their houses. 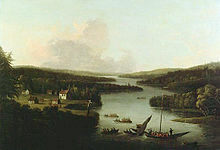 In nearby Dartmouth, in the spring of 1759, another Mi'kmaq attack was launched on Fort Clarence, located at the present day Dartmouth Refinery, in which five soldiers were killed. Before the deportation, the Acadian population was estimated at 14,000. Most were deported, but some Acadians escaped to Quebec, or hid among the Mi'kmaq or in the countryside, to avoid deportation until the situation settled down. A map of the British and French settlements in North America in 1755. The province of Nova Scotia had expanded to encompass all of Acadie, or present-day New Brunswick. In present-day Maine, the Mi'kmaq and the Maliseet raided numerous New England villages. At the end of April 1755, they raided Gorham, killing two men and a family. Next they appeared in New Boston (Gray) and went through the neighbouring towns destroying the plantations. On May 13, they raided Frankfort (Dresden), where two men were killed and a house burned. The same day they raided Sheepscot (Newcastle) and took five prisoners. Two people were killed in North Yarmouth on May 29 and one taken captive. The natives shot one person at Teconnet, took prisoners at Fort Halifax and two prisoners at Fort Shirley (Dresden). They also captured two workers at the fort at New Gloucester. During this period, the Maliseet and Mi'kmaq were the only tribes of the Wabanaki Confederacy who were able to fight. On August 13, 1758, Boishebert left Miramichi, New Brunswick with 400 soldiers, including Acadians whom he led from Port Toulouse. They marched to Fort St. George (Thomaston) and unsuccessfully laid siege to the town, and raided Munduncook (Friendship) where they wounded eight British settlers and killed others. This was Boishébert's last Acadian expedition; from there he and the Acadians went to Quebec and fought in the Battle of Quebec (1759). In the first wave of the expulsion, most Acadian exiles were assigned to rural communities in Massachusetts, Connecticut, New York, Pennsylvania, Maryland and South Carolina. In general, they refused to stay where they were put and large numbers migrated to the colonial port cities where they gathered in isolated, impoverished French-speaking Catholic neighbourhoods, the sort of communities Britain's colonial officials tried to discourage. More worryingly for the British authorities, some Acadians threatened to migrate north to French-controlled regions, including the Saint John River, Île Royale (Cape Breton Island), the coasts of the Gulf of St. Lawrence and Canada. Because the British believed their policy of sending the Acadians to the Thirteen Colonies had failed, they deported the Acadians to France during the second wave of the Expulsion. Approximately 1,000 Acadians went to the Colony of Maryland, where they lived in a section of Baltimore that became known as French Town. The Irish Catholics were reported to have shown charity to the Acadians by taking orphaned children into their homes. Approximately 2,000 Acadians disembarked at the Colony of Massachusetts. There were several families deported to the Province of Maine, a large, but sparsely populated exclave of the colony of Massachusetts. For four long winter months, William Shirley, who had ordered their deportation, had not allowed them to disembark and as a result, half died of cold and starvation aboard the ships. Children were taken away from their parents and were distributed to various families throughout Massachusetts. The government also arranged the adoption of orphaned children and provided subsidies for housing and food for a year. The Colony of Connecticut prepared for the arrival of 700 Acadians. Like Maryland, the Connecticut legislature declared that "[the Acadians] be made welcome, helped and settled under the most advantageous conditions, or if they have to be sent away, measures be taken for their transfer." The Colony of Pennsylvania accommodated 500 Acadians. Because they arrived unexpectedly, the Acadians had to remain in port on their vessels for months. The Colony of Virginia refused to accept the Acadians on grounds that no notice was given of their arrival.They were detained at Williamsburg, where hundreds died from disease and malnutrition. They were then sent to Britain where they were held as prisoners until the Treaty of Paris in 1763. The Acadians who had offered the most resistance to the British—particularly those who had been at Chignecto—were reported to have been sent to the southernmost colonies (the Carolinas and the Colony of Georgia), where about 1,400 Acadians settled and were "subsidized" and put to work on plantations. Under the leadership of Jacques Maurice Vigneau of Baie Verte, the majority of the Acadians in Georgia received a passport from the governor Reynolds. Without such passports, travel between borders was not allowed. As soon as the Acadians bearing passports from Georgia reached the Carolinas, the colonies granted passports to the Acadians in their territories. Along with these papers, the Acadians were given two vessels. After running aground numerous times in the ships, some Acadians returned to the Bay of Fundy. Along the way, they were captured and imprisoned. Only 900 managed to return to Acadia, less than half of those who had begun the voyage. Others also tried to return home. The South Carolina Gazette reported that in February, about thirty Acadians fled the island to which they were confined and escaped their pursuers. Alexandre Broussard, brother of the famed resistance leader Joseph Broussard, dit Beausoleil, was among them. About a dozen are recorded to have returned to Acadia after an overland journey of 1,400 leagues (4,200 miles (6,800 km)). After the Siege of Louisbourg (1758), the British began to deport the Acadians directly to France rather than to the British colonies. Some Acadians deported to France never reached their destination. Almost 1,000 died when the transport ships Duke William, Violet, and Ruby sank in 1758 en route from Île Saint-Jean (Prince Edward Island) to France. About 3,000 Acadian refugees eventually gathered in France's port cities and went to Nantes. Many Acadians who were sent to Britain were housed in crowded warehouses and subject to plagues due to the close conditions, while others were allowed to join communities and live normal lives. In France, 78 Acadian families were repatriated to Belle-Île-en-Mer off the western coast of Brittany after the Treaty of Paris. The most serious resettlement attempt was made by Louis XV, who offered 2 acres (8,100 m2) of land in the Poitou province to 626 Acadian families each, where they lived close together in a region they called La Grande Ligne ("The Great Road", also known as "the King's Highway"). About 1,500 Acadians accepted the offer, but the land turned out to be infertile, and by the end of 1775, most of them abandoned the province. Thomas Jefferys (1710–71) was a royal geographer to King George III and a London publisher of maps. He is well known for his maps of North America, produced to meet commercial demand, but also to support British territorial claims against the French. 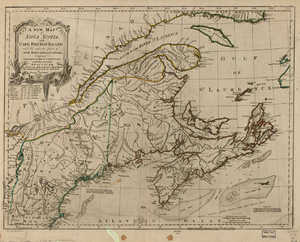 This map presents Nova Scotia and Cape Breton Island in the wake of the "great upheaval". Acadians left France, under the influence of Henri Peyroux de la Coudreniere, to settle in Louisiana, which was then a colony of Spain. The British did not deport Acadians to Louisiana. Louisiana was transferred to the Spanish government in 1762. Because of the good relations between France and Spain, and their common Catholic religion, some Acadians chose to take oaths of allegiance to the Spanish government. Soon the Acadians comprised the largest ethnic group in Louisiana. They settled first in areas along the Mississippi River, then later in the Atchafalaya Basin, and in the prairie lands to the west—a region later renamed Acadiana. On July 11, 1764, the British government passed an order-in-council to permit Acadians to legally return to British territories, provided that they take an unqualified oath of allegiance. Some Acadians returned to Nova Scotia (which included present-day New Brunswick). Under the deportation orders, Acadian land tenure had been forfeited to the British crown and the returning Acadians no longer owned land. Beginning in 1760 much of their former land was distributed under grant to the New England Planters. The lack of available farmland compelled many Acadians to seek out a new livelihood as fishermen on the west coast of Nova Scotia, known as the French Shore. The British authorities scattered other Acadians in small groups along the shores of the Atlantic Ocean and the Gulf of Saint Lawrence. It was not until the 1930s, with the advent of the Acadian co-operative movements, that the Acadians became less economically disadvantaged. According to historian John Mack Faragher, the religious and ethnic dimensions of the Expulsion of Acadians are in addition to, and deeply connected to, the military exigencies cited as causes for the Removals. There is significant evidence in the correspondence of military and civil leaders for Anti-Catholicism. Faragher writes, "The first session of the Nova Scotia Assembly ... passed a series of laws intended to institutionalize Acadian dispossession" including an act titled "An Act for the Quieting of Possessions to Protestant Grantees of land formerly occupied by the French." In it and two subsequent acts, the Church of England was made the official religion. These acts granted certain political rights to Protestants while the new laws excluded Catholics from public office and voting and forbade Catholics from owning land in the province. It also empowered British authorities to seize all "popish" property (Church lands) for the crown and barred Catholic clergy from entering or residing in the province, as they wanted no repeat of Le Loutre and his type of war. In addition to other anti-Catholic measures, Faragher concludes "These laws—passed by a popular assembly, not enacted by military fiat—laid the foundation for the migration of Protestant settlers." In the 1740s William Shirley hoped to assimilate Acadians into the Protestant fold. He did so by trying to encourage (or force) Acadian women to marry English Protestants and statutes were passed which required the offspring of such unions to be sent to English schools and raised as "English Protestants" (quote from a letter by Shirley). This was linked to larger anxieties in the realm over the loyalty of Catholics in general—as Charles Stuart's Jacobite Rebellion was a Catholic-led rebellion as was Le Loutre's rebellion in Nova Scotia. Shirley, who in part was responsible for the Removals, according to historian Geoffery Plank, "recommended using military force to expel the most 'obnoxious' Acadians and replace them with Protestant immigrants. In time the Protestants would come to dominate their new communities." Shirley wanted "peaceable [loyal] subjects" and specifically, in his own words, "good Protestant ones." Faragher compared the expulsions to contemporary acts of ethnic cleansing. In contrast, numerous leading historians have objected to this characterization of the expulsion. Historian John Grenier asserts that Faragher overstates the religious motivation for the expulsion and obscures the fact that the British accommodated Acadians by providing Catholic priests for forty years prior to the Expulsion. Grenier writes that Faragher "overstates his case; his focus on the grand dérangement as an early example of ethnic cleansing carries too much present-day emotional weight and in turn overshadows much of the accommodation that Acadians and Anglo-Americans reached." As well, the British were clearly not concerned that the Acadians were French, given the fact that they were recruiting French foreign protestants to settle in the region. Further, the New Englanders of Boston were not banishing Acadians from the Atlantic region; instead, they were actually deporting them to live in the heart of New England: Boston and elsewhere in the British colonies. While there was clear animosity between Catholics and Protestants during this time period, many historians point to the overwhelming evidence which suggests that the motivation for the expulsion was military. The British wanted to cut off supply lines to the Mi'kmaq, Louisbourg and Quebec. They also wanted to end any military threat which the Acadians posed (See Military history of the Acadians). A.J.B. Johnston wrote that the evidence for the removal of the Acadians indicates that the decision makers thought the Acadians were a military threat, therefore the deportation of 1755 does not qualify as an act of ethnic cleansing. Geoffery Plank argues that the British continued the expulsion after 1758 for military reasons: present-day New Brunswick remained contested territory and the New Englanders wanted to make sure that British negotiators would be unlikely to return the region to the French as they had done after King George's War. Other historians have observed that it was not uncommon for empires to move their subjects and populations during this time period. For Naomi E. S. Griffiths and A.J.B. Johnston, the event is comparable to other deportations in history, and it should not be considered an act of ethnic cleansing. In From Migrant to Acadian, Griffiths writes that "the Acadian deportation, as a government action, was a pattern with other contemporary happenings." The Expulsion of the Acadians has been compared to similar military operations during the eighteenth and nineteenth centuries. The French carried out expulsions in Newfoundland in 1697 when they occupied the British portion of Newfoundland during Pierre d'Iberville's Avalon Peninsula Campaign, burning every British settlement and exiling over 500 inhabitants. A.J.B. Johnston notes that in 1767, French authorities forcibly removed nearly 800 Acadian and French inhabitants from Saint-Pierre and Miquelon, transporting them against their will to France and compares the expulsions to the fate of the United Empire Loyalists, who were expelled from the United States to present-day Canada after the American Revolution. Another deportation was the Highland Clearances in Scotland between 1762 and 1886. Another North American expulsion was the Indian Removal of the 1830s, in which the Cherokee and other Native Americans from the South-East United States were removed from their traditional homelands. Acadian historian Maurice Basque writes that the term "'genocide'... does not apply at all to the Grand Derangement. Acadie was not Armenia, and to compare Grand-Pré with Auschwitz and the killing fields of Cambodia is a complete and utter trivialization of the many genocidal horrors of contemporary history." Concerning the use of 20th century terms such as "ethnic cleansing" and "genocide" to understand the past, historian John G. Reid states, "I'm not sure that it's the best way to understand 18th century realities... What happened in the 18th century is a process of imperial expansion that was ruthless at times, that cost lives…. But to my mind, you can't just transfer concepts between centuries." In 1847, American poet Henry Wadsworth Longfellow published a long, narrative poem about the expulsion of the Acadians called Evangeline, depicting the plight of the fictional character Evangeline The poem became popular and made the expulsion well known. The Evangeline Oak is a tourist attraction in Louisiana. The song "Acadian Driftwood", recorded in 1975 by The Band, portrays the Great Upheaval and the displacement of the Acadian people. Antonine Maillet wrote a novel, called Pélagie-la-Charrette, about the aftermath of the Great Upheaval. It was awarded the Prix Goncourt in 1979. Grand-Pré Park is a National Historic Site of Canada situated in Grand-Pré, Nova Scotia, and preserved as a living monument to the expulsion. It contains a memorial church and a statue of Evangeline, the subject of Longfellow's poem. The song "1755" was composed by American Cajun fiddler and singer Dewey Balfa and performed on his 1987 album Souvenirs, and later covered by Steve Riley and the Mamou Playboys on their 1994 live album. According to Acadian historian Maurice Basque, the story of Evangeline continues to influence historic accounts of the deportation, emphasising neutral Acadians and de-emphasising those who resisted the British Empire. In 2018, Canadian historian and novelist A. J. B. Johnston published a YA novel entitled The Hat, inspired by what happened at Grand-Pré in 1755. In December 2003, Governor General Adrienne Clarkson, representing Queen Elizabeth II (Canada's head of state), acknowledged the expulsion but did not apologize for it. She designated July 28 as "A Day of Commemoration of the Great Upheaval." This proclamation, officially the Royal Proclamation of 2003, closed one of the longest cases in the history of the British courts, initiated in 1760 when the Acadian representatives first presented their grievances of forced dispossession of land, property and livestock. December 13, the date on which the Duke William sank, is commemorated as Acadian Remembrance Day. There is a museum dedicated to Acadian history and culture, with a detailed reconstruction of the Great Uprising, in Bonaventure, Quebec. Wikimedia Commons has media related to Expulsion of the Acadians. ^ He was a leader of the mutiny on the Pembroke. ^ The term "forced removal" is being used intentionally. For the academic discussions about referring to this event as "ethnic cleansing" or a "deportation" see the Historical Comparisons section. ^ This conflict is also referred to as "Anglo French Rivalry of 1749–63" and War of British Conquest. ^ Stephen White calculated the number of Acadians in 1755. ^ British officer John Winslow raised his concern that officials were not distinguishing between Acadians who rebelled against the British and those who did not. ^ Note that Faragher (2005), p. 405, indicates that Monckton had a force of 2000 men for this campaign. ^ A letter from Fort Frederick which was printed in "Parker's New York Gazette or Weekly Post-Boy". April 2, 1759. provides additional details of the behaviour of the Rangers. ^ Total exiles for Britain and France found in Leblanc, Robert A. (April 1979). "Les migrations acadiennes". Cahiers de géographie du Québec. 23 (58): 99–124. doi:10.7202/021425ar. ^ Delaney, Paul (January – June 2004). "Pembroke Passenger List Reconstructed". Les Cahiers de la Société historique acadienne. 35 (1 & 2). ^ Pothier, Bernard (1974). "LeBlanc, Joseph". In Halpenny, Francess G (ed.). Dictionary of Canadian Biography. III (1741–1770) (online ed.). University of Toronto Press. ^ d’Entremont, C. J. (1974). "Bourg, Belle-Humeur, Alexandre". In Halpenny, Francess G (ed.). Dictionary of Canadian Biography. III (1741–1770) (online ed.). University of Toronto Press. ^ Johnson, Micheline D. (1974). "Manach, Jean". In Halpenny, Francess G (ed.). Dictionary of Canadian Biography. III (1741–1770) (online ed.). University of Toronto Press. ^ a b Plank (2001), p. 149. ^ White, Stephen A. (2005). "The True Number of Acadians". In Ronnie Gilles LeBlanc (ed.). Du Grand Dérangement à la Déportation: nouvelles perspectives historiques. Université de Moncton. pp. 21–56. ISBN 978-1-897214-02-2. ^ "An Estimate of the Inhabitants in Nova Scotia, A.D. 1764. By Hon. Alexander Grant, Esq. at the Request of Dr. Stiles". Collections of the Massachusetts Historical Society. Vol. X. Boston: Munroe, Francis, and Parker. 1809. p. 82. ^ Faragher (2005), p. 337. ^ Basque, Maurice (2004). "Family and Political Culture in Pre-Conquest Acadia". In John G. Reid; et al. (eds.). The "Conquest" of Acadia, 1710: Imperial, Colonial, and Aboriginal Constructions. University of Toronto Press. p. 49. doi:10.3138/9781442680883. ISBN 978-0-8020-8538-2. JSTOR 10.3138/9781442680883.8. • Reid, John G. (1987). Six crucial decades: times of change in the history of the Maritimes. Nimbus. pp. 29–32. ISBN 978-0-920852-84-2. • Reid, John G. (1994). "1686–1720: Imperial Intrusions". In Phillip Buckner; John G. Reid (eds.). The Atlantic Region to Confederation: A History. University of Toronto Press. p. 83. ISBN 978-1-4875-1676-5. JSTOR j.ctt15jjfrm. • Barnes, Thomas Garden (1996). "'Twelve Apostles' or a Dozen Traitors? Acadian Collaborators during King George's War 1744-8.". In F. Murray Greenwood; Barry Wright (eds.). Canadian State Trials: Law, Politics, and Security Measures, 1608-1837. Osgoode Society for Canadian Legal History. ISBN 978-1-4875-9790-0. • Basque, Maurice (1996). Des hommes de pouvoir: histoire d'Otho Robichaud et de sa famille, notables acadiens de Port-Royal et de Néguac. Société historique de Néguac. pp. 51–99. ISBN 978-0-9681079-0-4. • Du Pont Duvivier, François; Pothier, Bernard (1982). Course à L'Accadie: journal de campagne de François Du Pont Duvivier en 1744 : texte reconstitué avec introduction et notes. Moncton: Éditions d'Acadie. ISBN 978-2-7600-0074-2. • Rumilly, Robert (1983). L'Acadie anglaise: (1713-1755). Fides. ^ a b Faragher (2005), pp. 110–112. ^ Plank (2001), p. 72. ^ Plank (2001), p. 67. ^ Grenier, John (2005). The First Way of War: American War Making on the Frontier, 1607–1814. Cambridge University Press. ISBN 978-1-139-44470-5. • Baxter, James Phinney, ed. (1908). "Extract of a Letter by Capt. Charles Morris dated at Halifax May 15, 1754". Documentary History of the State of Maine. Vol. XII. Portland, Maine: Maine Historical Society. p. 266. ^ Patterson (1994), p. 152. ^ Grenier (2008), pp. 177–206. ^ Faragher (2005), p. 338. ^ Grenier (2008), p. 184. ^ a b Faragher (2005), p. 398. ^ a b "The New Brunswick Military Heritage Project". ^ Faragher (2005), p. 410. ^ Brodhead, John Romeyn (1858). "M. Lotbinière to the Minister". Documents Relative to the Colonial History of the State of New York. Vol. X. Albany: Weed, Parsons and Co. p. 496. ^ Faragher (2005), pp. 110-112. ^ "The Journal of John Weatherspoon". Collections of the Nova Scotia Historical Society for the Years 1879–1880. Volume II. Halifax. 1881. pp. 31–62. ^ Bell (1961), p. 503. ^ a b McMechan, Archibald (1931). Red Snow of Grand-Pré. McClelland & Stewart. p. 192. ^ Bell (1961), p. 509. ^ Bell (1961), pp. 510, 513. ^ Bell (1961), p. 510. ^ a b Bell (1961), p. 511. ^ a b Bell (1961), p. 512. ^ Bell (1961), p. 513. ^ Bell (1961), p. 504. ^ a b Landry, Peter (2007). The Lion and the Lily. Trafford. ISBN 978-1-4251-5450-9. ^ a b c Grenier (2008), p. 198. ^ "Nova Scotia - Major Morris Report - 1758". Collections of the Massachusetts Historical Society. Vol. IX: Fourth Series. Boston. 1871. p. 222. ^ Murdoch, Beamish (1866). A History of Nova-Scotia, Or Acadie. Vol. II. Halifax: J. Barnes. p. 373. ^ Murdoch (1866), p. 375. ^ a b Murdoch (1866), p. 366. ^ Plank (2001), p. 160. ^ a b c Grenier (2008), pp. 199-200. • Raymond, Wm. O. (1910). The River St. John: Its Physical Features, Legends and History, from 1604 to 1784. St. John, New Brunswick: John A. Bowes. pp. 96–107. ^ McLennan (1918), pp. 417–423, Appendix XI. • "History: Commodore Byron's Conquest". The Canadian Press. July 19, 2008. • Smethurst, Gamaliel (1905) . W.F. Ganong (ed.). A Narrative of an Extraordinary Escape: out of the Hands of the Indians, in the Gulph of St. Lawrence. London: New Brunswick Historical Society. ^ Lockerby, Earle (June 2011). "Pre-Deportation Letters from Île Saint Jean". Les Cahiers. La Societe hitorique acadienne. 42 (2): 99–100. ^ Loescher, Burt Garfield (1969). Rogers Rangers: The First Green Berets. San Mateo, California. p. 29. ^ Bell (1961), p. 508. ^ Griffiths (2005), p. 438. ^ Faragher (2005), pp. 423–424. ^ Williamson (1832), pp. 311-312. • Leblanc, Phyllis E. (1979). "Deschamps de Boishébert et de Raffetot, Charles". In Halpenny, Francess G (ed.). Dictionary of Canadian Biography. IV (1771–1800) (online ed.). University of Toronto Press. • Eaton, Cyrus (1865). History of Thomaston, Rockland, and South Thomaston, Maine: From Their First Exploration, A. D. 1605; with Family Genealogies. Masters, Smith & Co. p. 77. ^ Plank (2001), p. 70. ^ "French Neutrals In Maine". Collections of the Maine Historical Society. Vol. VI. Portland, Maine. 1859. ^ Arsenault (2004), p. 197. ^ Faragher (2005), p. 374. ^ Rieder & Rieder (1977), p. 1. ^ Arsenault (2004), p. 153. ^ Arsenault (2004), p. 156. ^ a b c Arsenault (2004), p. 157. ^ a b Faragher (2005), p. 386. ^ Faragher (2005), p. 389. ^ Rieder & Rieder (1977), p. 2. ^ LeBlanc, Dudley J. (1932). The True Story of the Acadians. p. 48. ^ Doughty (1916), p. 140. ^ Arsenault (2004), p. 160. ^ Faragher (2005), p. 388. ^ Scott, Shawn; Scott, Tod (2008). "Noel Doiron and the East Hants Acadians". Journal of the Royal Nova Scotia Historical Society. 11: 45–60. ^ Laxer, James (May 14, 2010). The Acadians: In Search of a Homeland. Doubleday Canada. p. 80. ISBN 978-0-385-67289-4. Retrieved August 9, 2013. ^ Tallant, Robert (2000). Evangeline and the Acadians. Pelican Publishing. p. 85. ISBN 978-1-4556-0393-0. Retrieved August 9, 2013. ^ Arceneaux, William (2004). No Spark of Malice: The Murder of Martin Begnaud. LSU Press. pp. 95–96. ISBN 978-0-8071-3025-4. ^ Doughty (1916), p. 150. ^ Arsenault (2004), p. 203. ^ Faragher (2005), p. 436. ^ Arsenault (2004), p. 326. ^ Johnson, Marc L.; Leclerc, André (March 4, 2015) [February 21, 2010]. "Contemporary Acadia". The Canadian Encyclopedia (online ed.). Historica Canada. ^ Faragher (2005), pp. 137, 140, 407. ^ Plank (2001), pp. 115–117. ^ a b Grenier (2008), p. 6. ^ Plank, Geoffrey (2005). "New England Soldiers in the Saint John River Valley: 1758–1760". In Stephen Hornsby; John G. Reid (eds.). New England and the Maritime Provinces: Connections and Comparisons. McGill-Queen's University Press. p. 71. JSTOR j.ctt80b8d.9. ^ Griffiths (2005), p. 462. ^ Reid, John G. (1994). "1686–1720: Imperial Intrusions". In Phillip Buckner; John G. Reid (eds.). The Atlantic Region to Confederation: A History. University of Toronto Press. p. 84. ISBN 978-1-4875-1676-5. JSTOR j.ctt15jjfrm. ^ Johnston (2005), p. 164. ^ Johnston (2005), p. 120. ^ a b Johnston (2005), p. 121. ^ Scott, Tod (2016). "Mi'kmaw Armed Resistance to British Expansion in Northern New England (1676-1781)". Journal of the Royal Nova Scotia Historical Society. 19: 1–18. ^ a b Basque, Maurice (2011). "Atlantic Realities, Acadian Identities, Arcadian Dreams". In John G. Reid; Donald J. Savoie (eds.). Shaping an Agenda for Atlantic Canada. Fernwood. p. 66. ISBN 978-1-55266-449-0. ^ Carlson, Kathryn Blaze (September 16, 2011). "European settlers sought 'genocide' on Mi'kmaq: historian". National Post. ^ Calhoun, Charles C. (2004). Longfellow: A Rediscovered Life. Beacon. p. 189. ISBN 978-0-8070-7039-0. ^ "Acadian Driftwood". The Band. Retrieved July 15, 2011. ^ "A.J.B. (John) Johnston". Writers' Federation of Nova Scotia. 2012. Retrieved February 1, 2018. ^ "Acadian Celebrations and Commemorations". Nova Scotia Communities, Culture and Heritage. Retrieved December 10, 2018. ^ "Acadian Remembrance Day Dec. 13". The Journal Pioneer. December 9, 2009. Archived from the original on September 28, 2011. Retrieved July 15, 2011. ^ "Home Page". Musée Acadien du Québec. Retrieved July 15, 2011. Bell, Winthrop (1961). The Foreign Protestants and the Settlement of Nova Scotia: The History of a Piece of Arrested British Colonial Policy in the Eighteenth Century. University of Toronto Press. OCLC 6132479. Belliveau, Pierre (1972). French Neutrals in Massachusetts: The Story of Acadians Rounded Up by Soldiers from Massachusetts and Their Captivity in the Bay Province, 1755-1766. Boston: K. S. Giffen. Carroll, Brian D. (September 2012). "'Savages' in the Service of Empire: Native American Soldiers in Gorham's Rangers, 1744–1762". The New England Quarterly. 85 (3): 383–429. doi:10.1162/TNEQ_a_00207. Doughty, Arthur G. (1916). The Acadian Exiles: A Chronicle of the Land of Evangeline. Toronto: Glasgow, Brook & Company. Dunn, William; West, Linda (2011). "The Expulsion of the Acadians". Canada: A Country by Consent. Artistic Productions. Grenier, John (2008). The Far Reaches of Empire: War in Nova Scotia 1710–1760. Oklahoma University Press. ISBN 978-0-8061-3876-3. Griffiths, N.E.S. (1969). The Acadian Deportation: Deliberate Perfidy Or Cruel Necessity?. Copp Clark. Hodson, Christopher (2012). The Acadian Diaspora: An Eighteenth-Century History. Oxford University Press. ISBN 978-0-19-973977-6. Jobb, Dean W. (2005). The Acadians: A People's Story of Exile and Triumph. Wiley. ISBN 978-0-470-15772-5. Johnston, John (2005). "French attitudes toward the Acadians". In Ronnie Gilles LeBlanc (ed.). Du Grand Dérangement à la Déportation: nouvelles perspectives historiques. Université de Moncton. ISBN 978-1-897214-02-2. Johnston, A.J.B. (2007). "The Acadian Deportation in a Comparative Context: An Introduction". Journal of the Royal Nova Scotia Historical Society. 10: 114–131. March, James H. (July 15, 2015) [September 4, 2013]. "The Deportation of the Acadians". The Canadian Encyclopedia (online ed.). Historica Canada. McLennan, J.S. (1918). Louisbourg: From its Founding to its Fall. London: Macmillan and Co.
Moody, Barry (1981). The Acadians. Grolier. ISBN 978-0-7172-1810-3. Neering, Rosemary; Garrod, Stan (1976). Life in Acadia. Fitzhenry and Whiteside. ISBN 978-0-88902-180-8. Patterson, Stephen E. (1994). "1744–1763: Colonial Wars and Aboriginal Peoples". In Phillip Buckner; John G. Reid (eds.). The Atlantic Region to Confederation: A History. University of Toronto Press. pp. 125–155. ISBN 978-1-4875-1676-5. JSTOR 10.3138/j.ctt15jjfrm. Reid, John G.; Basque, Maurice; Mancke, Elizabeth; et al. (2004). The "Conquest" of Acadia, 1710: Imperial, Colonial, and Aboriginal Constructions. University of Toronto Press. doi:10.3138/9781442680883. ISBN 978-0-8020-8538-2. JSTOR 10.3138/9781442680883. Rieder, Milton P.; Rieder, Norma Gaudet (1977). The Acadian Exiles in the American Colonies, 1755-1768. Rieder. Williamson, William D. (1832). The History of the State of Maine: From Its First Discovery, 1602, to the Separation, A. D. 1820, Inclusive. Glazier, Masters & Co. Retrieved February 27, 2014. Gilles LeBlanc, Ronnie, ed. (2005). Du Grand Dérangement à la Déportation: nouvelles perspectives historiques. Université de Moncton. ISBN 978-1-897214-02-2. Arsenault, Bona (2004). Histoire des Acadiens. Fides. ISBN 978-2-7621-2613-6.